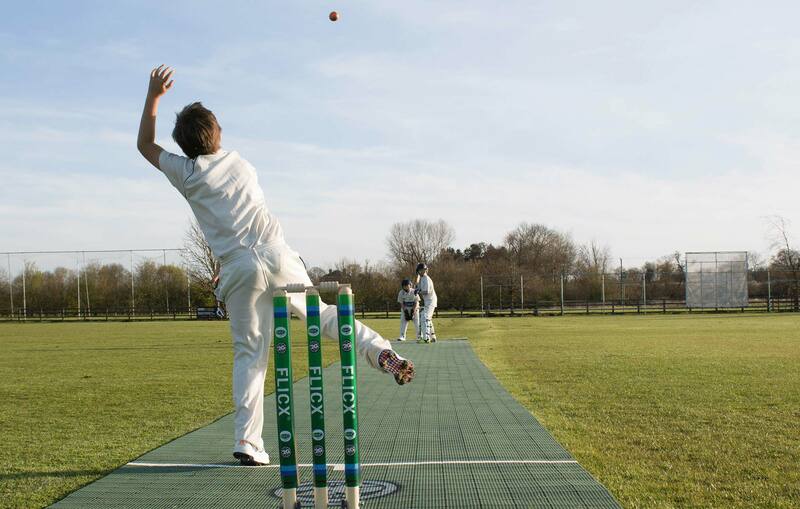 Follow these steps when installing your pitch to ensure a consistent bounce. 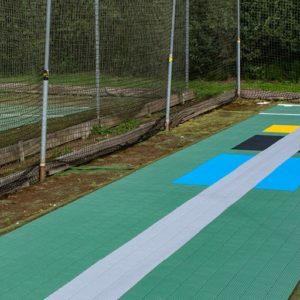 When installing on grass follow all the steps; when using your pitch on other under surfaces such as wooden sprung floors, 3G and other synthetic surfaces, sand, concrete and asphalt, start the installation process at step three. IDENTIFY | Select a firm, flat area 22 x 2m on your grass field where you lay your 2G Flicx Pitch. Put on your gloves. PREPARE | Cut the grass short in this area. 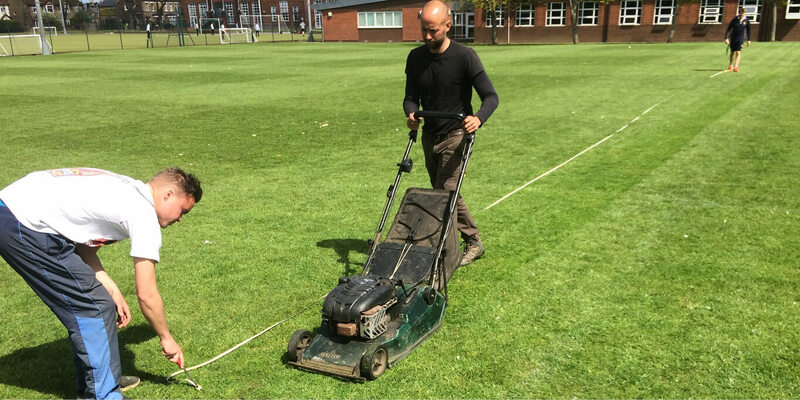 Grass should be cut to 10-15mm with shorter grass giving you optimum performance Fill all diverts with a similar compact-able soil to the base surface and level off any high spots. Rolling is recommended for optimum performance before each use. 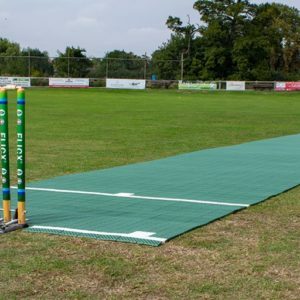 PLACE | Position your two strapped pitch rolls in the middle of the strip. 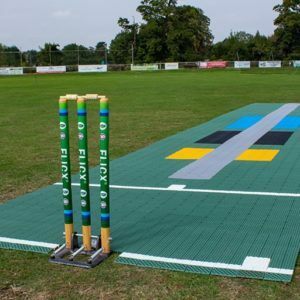 The 2G Flicx Match Pitch is rolled from the middle to the two opposite creases so place both rolls parallel to each other with the ends facing each other and remove the straps. 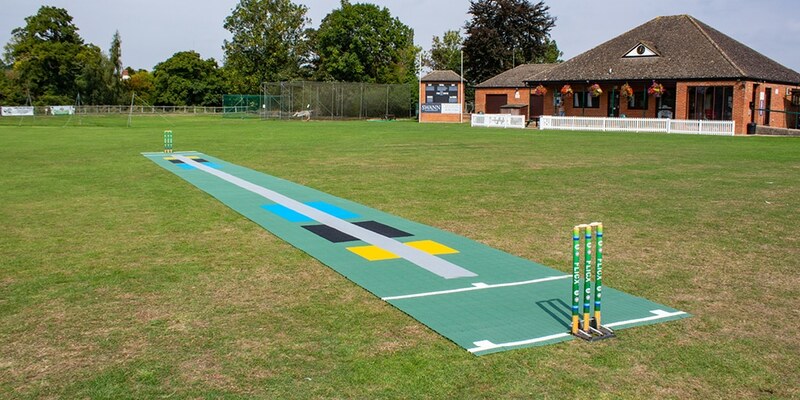 Do not unroll the pitch. ROLL OUT | Make fine adjustments to align the connectors. This should be done when the two sections are still rolled up. Once all the connectors are correctly positioned, clip the two batting ends together. Roll the two batting ends out from the middle to the creases. 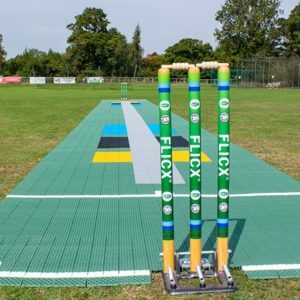 WAIT | Your 2G Flicx Pitch needs time to settle. 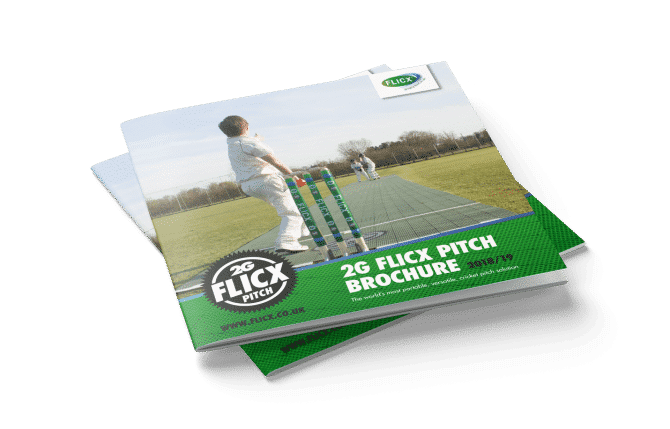 We advise rolling out your 2G Flicx Pitch 30-45 minutes prior to each use. Failure to do this may result in low, uneven bounce at the start of play.